Graph: The stagnant earnings of 30-year-old Americans. Maybe it’s because I’m turning the big 3-0 in exactly one month, but I feel compelled to share this graph from the Center for American Progress, which if nothing else should be one more source of intergenerational resentment for millennials to toss on the pile. 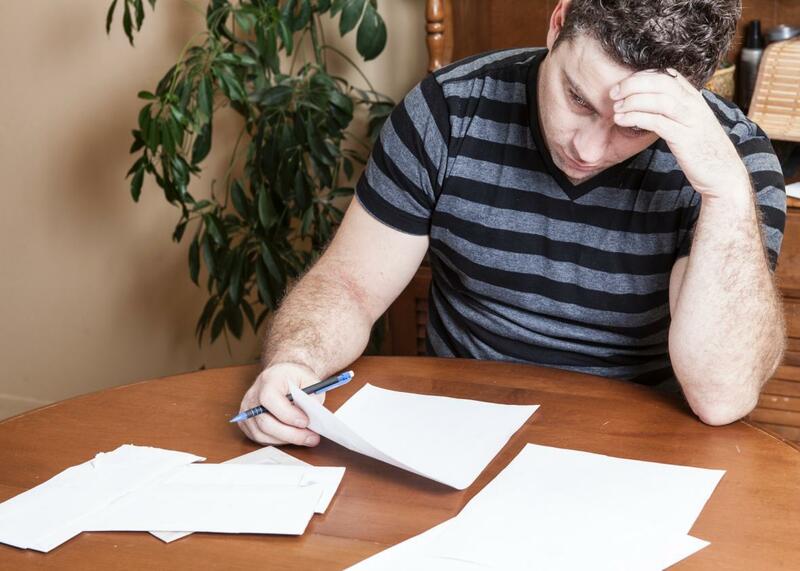 It tells us that, as of 2014, the typical 30-year-old was earning only a smidgen more in total compensation than baby boomers were at the same age in 1984—a median of $19.32 per hour in combined wages and compensation now versus $18.99 then. And making it all worse, Gen X had it better. The sore point here, according to CAP, is that the economy is far more productive than it was three decades ago, and if those gains were shared evenly, you’d expect pay to be higher for those right in the middle of the income ladder. This a frequently rehashed issue that isn’t really specific to millennials, and frankly, I think a graph like this can be a tiny bit misleading in that it lumps together both male and female earnings—median incomes have risen for young women since the Reagan era while they’ve fallen for young men. Some people also like to subtract Hispanics from these kinds of figures, since many are low-skill workers who are still earning more than their parents who may have been immigrants, or living in a less developed country where living standards are lower. (I think that’s a little bit iffy as analysis—Americans trying to make rent are Americans trying to make rent—though at least worth mentioning). In the end, it’s still worth remarking upon the fact that the median 30-year-old isn’t making much, if anything, more than his counterpart two generations ago (a time when, by the way, only a slightly smaller percentage of young adults were employed). It is not a healthy sign of progress. 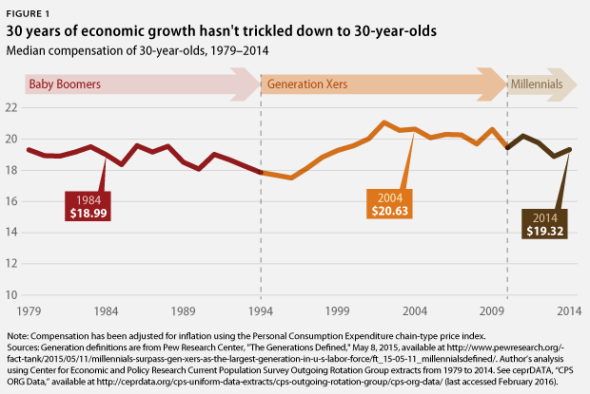 The chart’s also a reminder that millennials haven’t been turning 30 for all that long. You can look forward to our navel-gazing about the end of youth for years more to come.